Follow the daily interactions of an affable bar manager of pretty cool and not-so-typical watering hole in NYC, in a not-so-typical neighborhood, Murray Hill. There may be some blurbs overheard at the bar, stimulating observations and random thoughts on random things. So be careful, you never know what might end up here....Enjoy and welcome to my world! 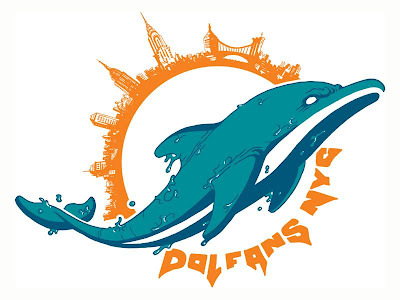 While most of you are well aware of where to go for OFFICIAL Miami Dolphins Watch Parties now that Third and Long is no longer in business, we are still getting inquiries from Dolphins fans visiting NYC and the few of you who are still out-of-the-loop. The Indians Offensive Maladies Might Be Behind Them: Weekly Recap 3 - The Indians' offense has been a snore, but a two-headed beast of Francisco Lindor and regression should do wonders for the remainder of the year. The 10,000 Steps to Becoming a Man. How Many Hits does it take to get to the center of a Tootsie Roll Pop?